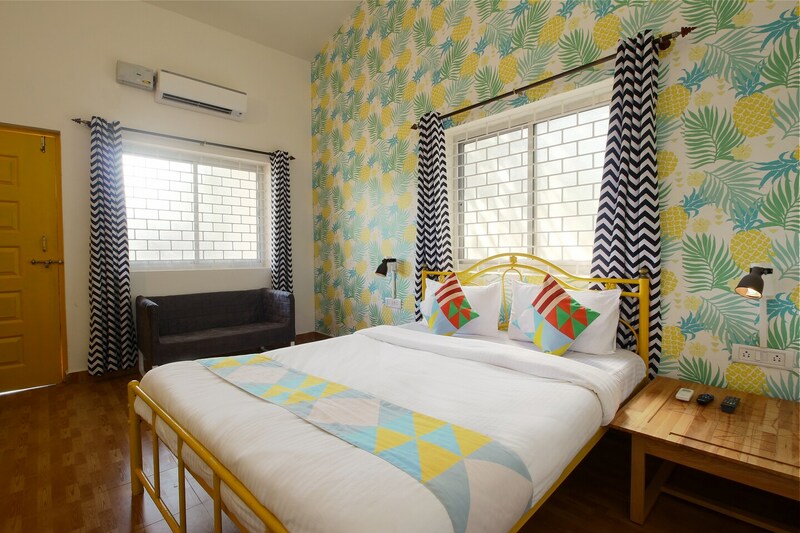 OYO 19659 Home Studio With Verandah Vagator is the right choice if you want to stay close to Goa action while enjoying a comfortable stay. Maintained by a skilled and hospitable staff, we ensure to provide you an attentive and personalized service. Designed per the needs of a contemporary traveller, you can find all the amenities such as Mini Fridge, Power backup, CCTV Cameras to your comfort. Soak in the culture of the city while exploring its top attractions like Chapora Fort, Casino Palms and St. Cajetan Church. In case you run out of cash midst your shopping spree, visit Indusland Atm, Kotak Mahindra Bank ATM and Axis Bank ATM located nearby.